Most companies yearn for a chief executive with the credentials of Steve Jobs. Whip smart, imaginative, fearless, unremitting, passionate, inspiring – the late Apple co-founder's qualities are legendary. Hoping to recruit someone of Jobs' calibre to lead a business may be overly ambitious, but other candidates with related creative attributes are accessible and are giving their companies a competitive edge. Inventor CEOs, a new working paper from Jason Zein and Emdad Islam at UNSW Business School, highlights the link between leaders with an inventive streak and business achievement. The research reveals that one in five US high-tech firms are led by CEOs who have hands-on innovation experience as inventors. These inventor CEOs typically stimulate "higher quality firm-level innovation, especially when they have a personal history of high-impact patents". 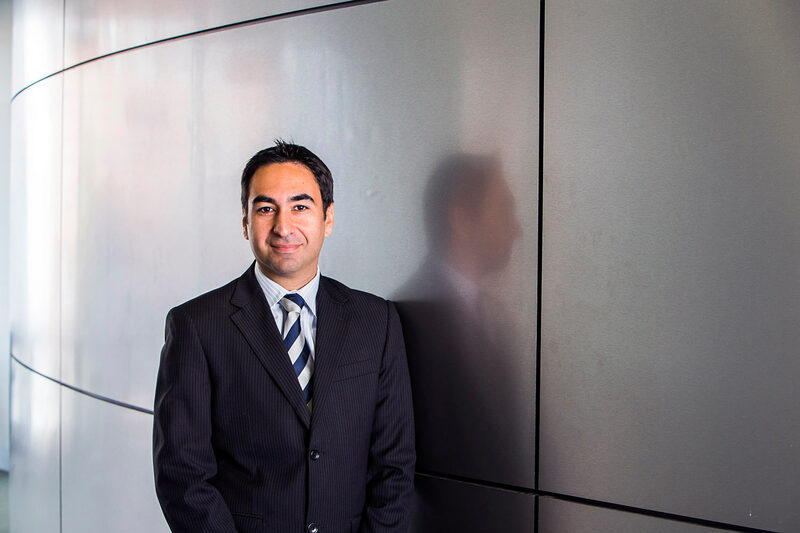 Zein, an associate professor in the school of banking and finance at UNSW Business School, says leaders generally fall into two broad stereotypes – a transactional CEO akin to a management consultant who focuses on operational issues and efficiencies; and a transformational CEO who uses innovation to pursue goals relentlessly and is willing to take risks and fail along the way. The difficulty is in finding someone with a mix of such qualities. "It's kind of rare that you get a person with that transactional skill set … who is also a scientist or inventor," says Zein. Zein and Islam examined a dataset tracking the patenting history of CEOs in US high-tech firms across a 34-year period. Bosses with at least one patent in their own name were designated as inventor CEOs. They found that firms led by such CEOs were associated with greater innovation outputs, and those outputs were of higher quality than the norm and more likely to be ground-breaking. Zein says the key is the ability of CEOs to produce "impactful patents, not just a high number of patents", while adding that a patent office's approval of a patent is significant given that it is an external validation of the quality of products and ideas coming out of a business. The paper suggests inventor CEOs are more likely to file "radical" patents – those that have been cited repeatedly and are considered to be highly influential. Anthony Mitchell, co-founder and chief potential officer of Bendelta, a consulting firm that helps clients create sustainable transformation, says while patents are only one indicator of innovation, they are a clear sign that companies are pushing the boundaries. "There has to be this absolute relentlessness that we won't rest on what we created last year; that we'll be creating new things this year and next year," he says. "It's a willingness to self-cannibalise to be the first to market." Mitchell believes inventor types are often not suited to leading organisations, which is why inventor CEOs represent a "small sub-population of CEOs overall". "In some cases people who are oriented towards that inventing style are not naturally predisposed towards becoming a CEO, and certainly not at a large organisation." Jobs proved the value of a leader who is adept at learning by doing; someone who knows and understands a new technology or product and has an information advantage over most other bosses. Likewise, SanDisk supremo Eli Harari benefits from being an inventor who intimately knows the digital storage sector, just as Netflix co-founder and CEO Reed Hastings prospers courtesy of his knowledge of software and streaming media. Such leaders, Zein notes, can sit with their R&D teams, workshop ideas and fast-track innovations that are worthy of patents. "The fact that the CEO has this kind of first-hand involvement with innovation in their firm also impacts on the culture of the firm," Zein says. "It creates a more innovation-centric culture when your CEO is connected with what you're doing." Jobs' own words on the subject of innovation and inventiveness at Apple are informative. He once said: "Innovation has nothing to do with how many R&D dollars you have. When Apple came up with the Mac, IBM was spending at least 100 times more on R&D. It's not about money. It's about the people you have, how you're led, and how much you get it." Mitchell says Jobs' unrelenting desire to redefine Apple products reveals a truly inventive CEO. While his temper tantrums along the way were infamous, he could still bring his team along with him. "It may not make us feel comfortable, but there's an exciting intent behind that behaviour. There's a vision for creating greatness and a knowledge that you can be one of the people who develops in the course of achieving that." In a similar but less confrontational way, he says, Mike Cannon-Brookes and Scott Farquhar, founders of Australian tech sensation Atlassian, have built an exceptional company in which people feel stretched but connected and trusted. "Great things can come from such an environment," Mitchell says. According to Zein, there can be a potential dark side. Some over-zealous inventors run the risk of overspending on R&D and becoming distracted with personal causes at the expense of investors or shareholders. However, Zein and Islam's research doesn't point to any manifestation of this threat, finding instead that firms with inventor CEOs "tend to outperform other firms and there's no evidence that the inventor CEOs, on the average, are detrimental to the firm". The researchers also examined whether the success of an enterprise was the result of a pre-existing culture and/or people within the business itself, or if the impact of a particular inventor CEO was the key? To better understand such forces, they considered the impact of unexpected or quick departures – exogenous turnovers – of inventor CEOs from a business. Their findings show clearly that switching from an inventor CEO to a non-inventor CEO results "in an economically significant reduction in corporate innovation output and impact", while the firm's ability to produce radical innovation in the form of patents is also markedly reduced. "This shows that it's not just an innovative firm that hires an inventor CEO, but rather that the inventor CEO has a causal effect on the firm's innovation," Zein says. Mitchell believes most leaders have the ability to take an organisation forward by one quantum leap, while a small number can take it two quantum leaps. "It's that very rare individual who can take it three quantum leaps," he says, citing Jobs and Facebook founder Mark Zuckerberg. As a result, leaders need to know "their range" and when to stop and hand over the reins. In their paper, Zein and Islam suggest that one channel through which inventor CEOs stimulate higher-quality innovation is a superior ability to evaluate innovation-intensive investment opportunities. While it is difficult to measure such an impact, the examination of firms' mergers and acquisitions behaviour is telling. The research indicates that when inventor CEOs engage in M&A activity, the market reaction tends to be more positive than to transactions led by non-inventor CEOs, especially when the target of the acquisition is another innovation-intensive firm. Zein and Islam's work underlines the importance of strong leadership and having executives who believe in something and can stay the course. Some may have failed along the way, but they have inevitably learnt from those setbacks. "Leadership does matter, not just in business but in government and everywhere," Zein says. "You need people who are not just going to be hostage to short-term goals."